What kind of music do you like? Hmmm? I love electronic music: Kraftwerk, Philip Glass, Wendy Carlos, Tomita, Vangelis, Giorgio Moroder and, of course, Tangerine Dream. In fact, I am listening to the latest Tangerine Dream CD, Optical Race, right now. Excellent CD! I find it's a great way to write, just put on the music, crank up the volume, and let it flow. I mention Tangerine Dream not only because they are a great group that makes terrific music, but also because they have a link to Atari. As it states on the liner notes on the back of the CD, "This album has been produced on the Atari ST using Steinberg/Jones Software." 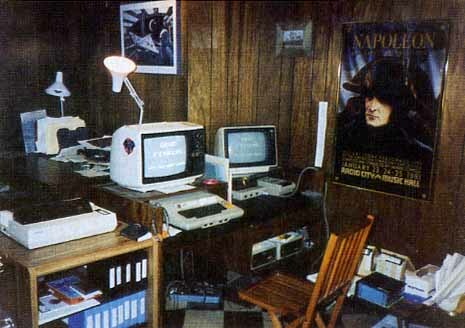 We know that the Atari ST is a powerful computer. It seems that Tangerine Dream knows it too. The ST is becoming very popular with musicians because of the built-in MIDI ports, power of the computer and reasonable cost. Just thought I'd mention it. Welcome to the museum. Well, it's not actually a real museum but it comes pretty close. You see, it's my basement, and it's filled with Atari computers, software and memorabilia (I hate that word) from close to seven years as an Atari enthusiast. Yes, I am an Atari enthusiast and continue to be one. Let me take you on a tour, but don't worry; there is no admission charge. Where shall we start? How about this: It's a disk labeled Data Perfect by LJK Enterprises. This is a real blast from the past. Back in 1981 or thereabouts, there were several database programs for the Atari 800. The two most popular titles were File Manager 800 by Synapse and Data Perfect. File Manager, if I recall correctly, came out first and was quite powerful for its time. But it didn't have report-writing capability. The only way to retrieve information was to do it interactively. Then came Data Perfect. 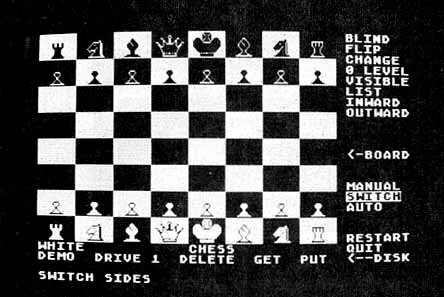 This program was very sophisticated for its time, especially on an Atari 8-bit computer. Trouble was, the manual was downright terrible. I think it belongs in the "Poor Documentation Hall of Fame." Anyway, I remember I was editing and publishing a user-group newsletter at the time, and I wanted to keep track of the mailing list. The list was already created with File Manager 800, but I wanted the reportwriting capability of Data Perfect. So I go through a lengthy conversion process and then begin the long journey towards Data Perfect report-writing selfactualization. To end a long story, I never did achieve the results I was looking for. I spent an entire weekend, Saturday and Sunday (damn the chores) trying to learn how to use the report-writing capability of this blasted program. I never did! From that point on, I put the program back on the shelf and refused to even open the manual ever again. As bad as Data Perfect was in that respect, Letter Perfect, LJK's word processor was clearly the best in the league. I did all of my writing for the club newsletter using that program. Further, I used Letter Perfect exclusively when I wrote for Creative Computing for a year. One of the best things about the program was that it worked with the Bit-3 80-column board. Using a composite monochrome monitor and the 80-column version of Letter Perfect, I was using a system similar to that of the "big rig" Apples and CP/M machines. I still have the Letter Perfect disk, manual and some 8-bit disks with articles. Ah, the Bit-3 80-column board. This baby sat in the last slot of the Atari 800, which meant you had to have a 32K memory card in the second slot if you wanted a full 48K. With the Bit-3, a Mosaic 32K board (I wonder where they are these days), an Atari 16K memory card and an Omnimon system card, my system ran hotter than my '67 BMW with the bad head gasket. I had to keep the cover off the computer to prevent a meltdown within a half-hour. Man, those were the days. In this exhibit of the museum, we have some rare and notable computer magazines. Here is the first issue of Byte-The Small Systems Journal, as it was billed at the time. The issue is dated September, 1975 and carried a cover price of a buck and a half. The cover stories seem almost quaint by today's standards: "Which Microprocessor For You?," "Cassette Interface-Your Key To Inexpensive Bulk Memory" (I learned the hard way about cassette storage with my finicky Atari 410 cassette drive), and "Recycling Used ICs." It was clear that, in those days, Byte was a hacker's magazine. Leafing through that first issue, it appears that half of the ads were for test equipment, power supplies and integrated circuits. There is an ad for the Altair 8800 Computer Kit, a $1,000 system with 4K of memory, serial and parallel interfaces, and cassette interface. I had almost forgotten that these early computers did not use keyboards or monitors. You had to attach a teletype if you wanted to enter programs from a keyboard. We have sure come a long way since 1975. The "journalism exhibit" also includes many first issues of magazines long gone, such as ROM, OnComputing, Creative Computing, Personal Computing, SCCS Interface and Peoples' Computers. There are also some first issues of still-existing mags such as ANALOG (of course), Amiga World (what a fluff piece), Publish and CD-ROM, among others. A thesis could easily be written on the social psychology of individual computing, just by reading the information in these primary sources. No serious museum is complete without key issues of InfoWorld magazine. Here is one dated February 27, 1984 with the headline "is Atari Going Down the Tubes?" There is a picture of James Morgan on the cover (who?). In addition to the somewhat ironic cover story, there are some other neat and/or prophetic articles, too. How about a small article discussing the departure of Jack Tramiel and other executives from Commodore. Here's one: "Mattel Drops Intellivision " Interesting reading for the serious video-game historian. Another one: "TI Leaves Home Market." Still another: "Eastern OKs Use of Portable Computers in Flight." This issue is chock full of interesting stuff. Later that year, in the InfoWorld dated August 6, 1984, the cover story is "Tramiel Moves In; Can He Save Atari?" Another great collection of articles and news, historically speaking. Finally, take a look at the January 28, 1985 issue, just six months later. The cover story: "Atari Unveils Its `Jackintosh'. " The years 1983, 1984 and 1985 were hectic ones. I wonder how we survived it all? were always just one step behind. In the hardware department, I'd like to share a few rare items that archaeologists may someday be unable to explain. First, there is my Nibble Notcher. This little fellow gave me years of service, notching out the left side of my 8-bit floppy disks. This allowed me to use the backside of the disk in my 810 disk drive. Controversy surrounded this technique, with one side arguing that the backside wasn't a reliable surface for data and that the opposite rotating of the flipped disk could somehow cause drive damage. The supporters of the technique, and myself, were seeking a solution to the high cost of floppy disks at the time. Come to think of it, I never lost any data by using the backside of a disk in that manner. Oh yes, here is my dongle. Actually it is a Batteries Included dongle. This little widget was inserted into the second joystick port of the 800 in order to run Paper Clip, the best of the third-generation 8-bit word processors. The idea of copy protection, in whatever form, brings back some fond and not-so-fond memories. As it turned out, companies stopped using copy protection for all but game software once they realized that the pirates (read: software thieves) were always just one step behind. Here is another interesting hardware item: a Blaster. This is a device that is inserted in between your joystick and the computer. It has a rotary control on it to allow you to speed up the number of pulses of the fire button. At the highest setting, every time you pressed the joystick button about 20 to 30 impulses were sent to the computer. What a way to improve your high score standings in 8-bit shoot-'em-up video games. Over in the corner is Andy the Robot. Do you remember Andy? 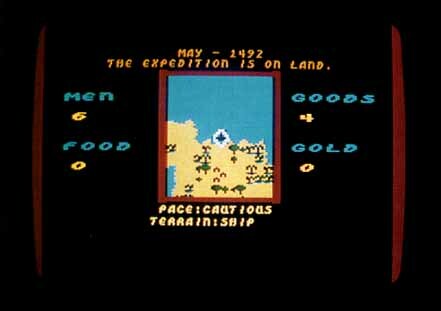 One of Nolan Bushnell's (Atari's founder) many companies was Axlon. They started off in the early 1980s making memory boards for the 800 computer. Then they branched out into toys and other stuff. Andy was connected by a tether to one of the joystick ports and could be controlled by a program running on the 8-bit computer. It was a simple control mechanism-left, right, blink eyes, forward and backward-but it was one of the first robot-controlled devices for the Atari computer. Andy is silently keeping me company, even today, as I write. Say "Hi" to the folks at home, Andy. Another robot that keeps me company is Andy's friend, Verbot. Verbot is a voice-controlled robot made by Tomy. You would program voice commands into a remote microphone and then Verbot would respond to your verbal instructions. I thought this was neat enough by itself, but I took it a step further. I wrote a BASIC program that produced eight unique sounds, each produced by pressing a key on the 800 keyboard. I used this method to program Verbot by placing the microphone next to the monitor speaker and pressing the various keys on the Atari. It was pretty neat to be able to put Verbot through his paces under my keyboard control. If you're interested, I wrote about it in the August, 1985 End User. That column even includes the BASIC program. Have fun. Space does not permit reminiscing about some of the other hardware laying around. Things like the Atari Light Pen, a handful of drawing tablets, the MIDI-Mate 8-bit interface, the collection of Hewlett-Packard calculators dating back to 1974, and an assortment of patch cables and AC adapters of which I'll probably never know their origin, will have to wait until your next visit to the museum. Gee, if we had more time, I really wanted to tell you about the Relax biofeedback system. Oh well. I could spend days talking about the multitudes of software I have kept all these years. There is my prize collection of every Electronic Arts 8-bit game. Some really great stuff like Pinball Construction Set, M.UL.E., Seven Cities of Gold and more than a dozen more. Then there is the three-volume set by Odesta of Chess, Checkers and Odin (a Reversi-type game). These three 8-bit games are some of the finest ever produced by anyone. They have excellent documentation, packaging, game play and game options. If you wanted to study human-computer interaction or software engineering, this would be the place to start. Another one of the more important museum collections is the entire set of Atari press kits since 1983. You want memories? You want intrigue? You want history. Reading these press kits is like looking at the medical history of Atari. Products that never were, such as Mind Link and the 8-bit CP/M Box are here for the viewing. Such rare conceptions as the 260ST, the portable 8-bit computer, the Atari Educational Dept.-all fantasies of a company trying to find its soul (well, maybe)-are part of the permanent record in these archives. By golly, the last six years hold a lot of excitement and memories. I didn't discuss half of the junk... er...valuable mementos I have laying around. (Have you ever seen a Shanner Planner?) To do so, I would probably need an entire issue of ANALOG. Anyway, these things sure have a lot of memories. It is hard sometimes to recall those early times when I first had my Atari computer. There was a certain excitement in learning to use the machine, programming in BASIC, trying to get the cassette recorder to work and purchasing a new software title. The notion of having my own computer was a thrill. Each new thing I learned to do with it seemed like a major discovery and accomplishment. I couldn't wait to read everything I could get my hands on that discussed this marvelous new device. It certainly was a time for learning and immense satisfaction. In a way, I have lost my computer innocence. You may have some of this stuff collecting dust in your basement, too. Don't throw it out! It may be valuable some day. Who knows, 20 years from now (or sooner) these programs, hardware items and other knick-knacks may be true collectibles, perhaps as popular a hobby as collecting and trading baseball cards are today. It has been fun sharing this journey back in time. You know, I guess that is one of the things that has not changed. Although I know much more about computers and software than I did long ago, and maybe there is less excitement with the release of new hardware and software products, I still enjoy sharing information about Atari computers. I'm fortunate that I have this forum every month to do just that. As they say in the commercials, thank you for your support. See you next time, friend.